The holiday season is officially here! Many will be partaking in what some would call the best day of the year to shop; and whether you’re hoping to get your hands on something you’ve been wanting to treat yourself to for a while, or you’re looking to take advantage of great deals on Christmas presents for family and friends; Friday, November 24th is the perfect time for shopping till you drop! On International Drive, we understand the importance of getting a great deal, so be sure to make your way to the stores on International Drive to take advantage of some serious savings this Black Friday! Grab your walking shoes – We’re hitting the outlets! Everyone knows to hit the outlets when they are on a search for good deals on their favorite brands, and Black Friday calls for even lower prices! Orlando International Premium Outlets features 180 stores under one roof; including Last Call by Neiman Marcus, Nike Factory Store, Saks Fifth Avenue Off 5th, Victoria’s Secret, and so many more. 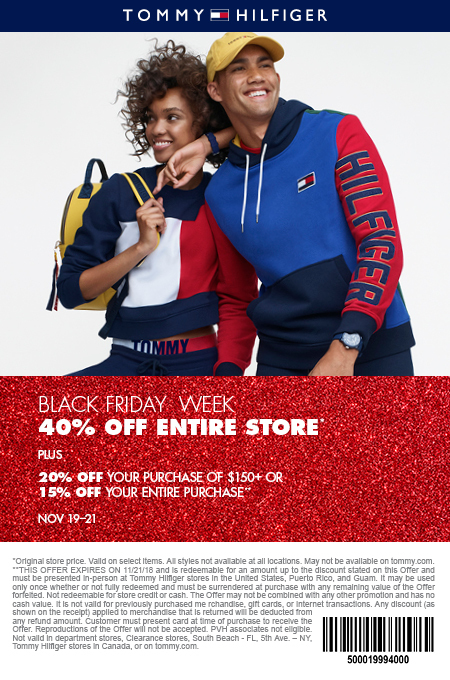 Some specials you can take advantage of while you’re shopping at Orlando International Premium Outlets this Black Friday include 25% off your purchase of select items at Bass Factory Outlet, (click here for coupon), 40% off everything in the Tommy Hilfiger store, plus additional savings, and many more! Orlando Vineland Premium Outlets will also be open and hosting some unbelievable sales this Black Friday! Featuring 160 stores, from Ann Taylor Factory Store and Armani Outlet to Burberry, Mike, Polo Ralph Lauren and Robert Cavalli to name a few, you’re sure to find everything on your Christmas list! Check out some of the great deals running for Black Friday and come prepared with your coupons! Get savings here. Although shopping on Black Friday is serious business, it should be fun, too! Pointe Orlando houses tons of great stores like MoonDance Trading Co, Hollister and Redi to Pedi, but, since we all know that shopping can work up an appetite, at Pointe Orlando, you’re always just steps away from a delicious meal! With over 15 restaurants to choose from, each that serve up a variety of cuisine, you’ll find the perfect meal to refuel during your day of shopping! To enjoy great savings and a great time this Black Friday, head to Pointe Orlando to get your shop on! All because it’s Black Friday doesn’t mean you need to head to the mall to take advantage of great savings! If stores like Bed Bath & Beyond, Ross Dress for Less and TJ Maxx sound more appealing to you, head over to the International Drive Value Center this Black Friday! The address for this shopping plaza is 5400 Fun Spot Way Orlando, FL, so you can put it in your GPS and GO! Some others store you’ll be pleased to find on International Drive during your Black Friday shenanigans include Burlington and Marshalls where you’re sure to find a steal! Don’t get left in the dust this Black Friday! Take to the shops on International Drive for a day of great savings, delicious food, and good times!